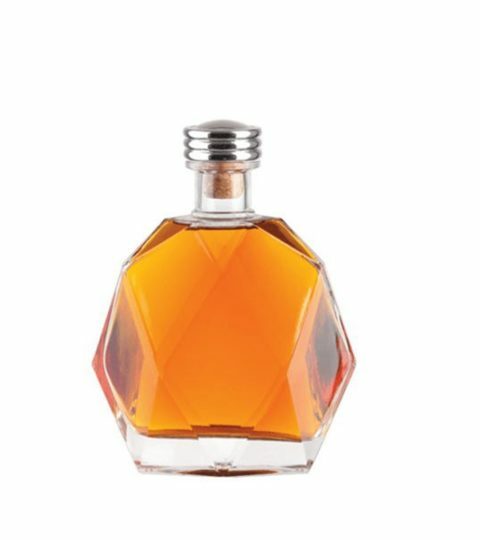 The special design glass bottle is custom as per client’s drawing or sample. 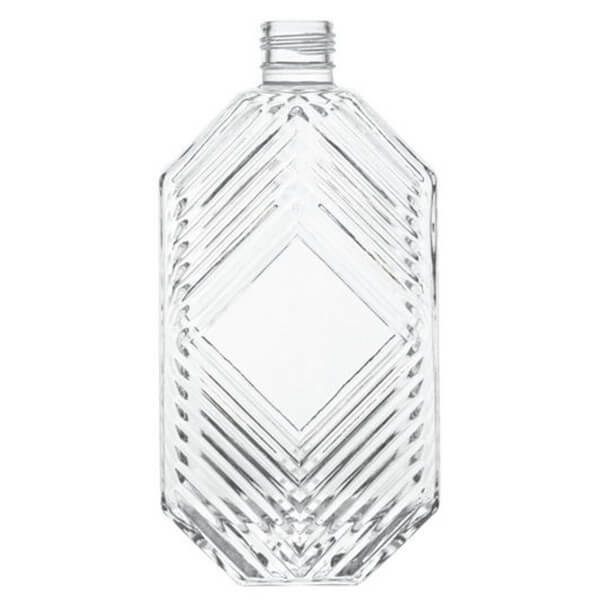 There are two trapezoid on top and base, and a rectangle glass body. This 500ml spirit bottle was custom glass bottles by one of China designer for a famous liquor brand. A square label panel hang on the glass, ideal for printing and sticker labels. Hiking glass bottle company provide a wide range of decorations for custom glass bottles. Silk printing, decal, frosting, color spraying, electroplating, labeling, embossing, and engraving. 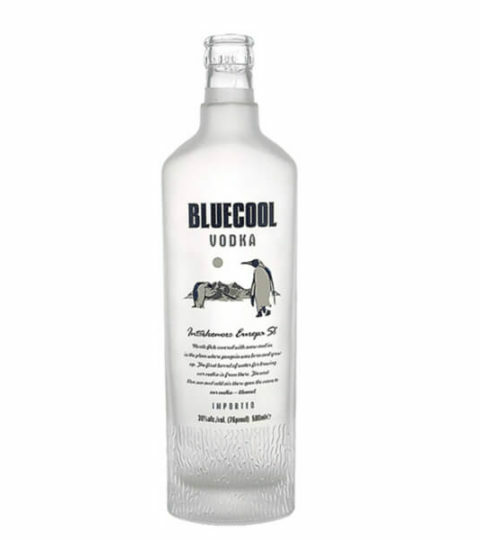 This 500ml spirit bottle is available for all of above decorations. 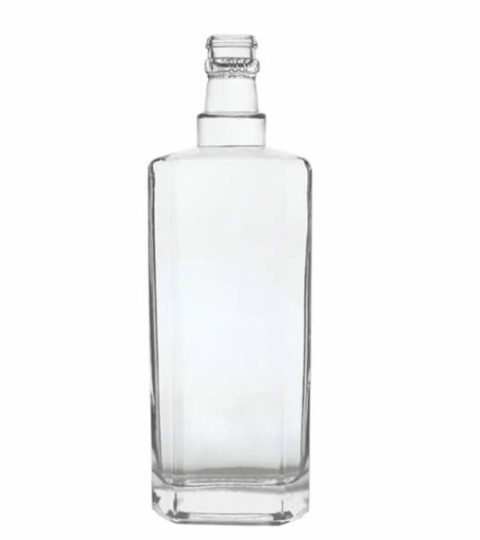 Plain clear 500ml liquor bottles are available for immediate delivery(with the exception of official holidays and inclement weather). Depending on the bottle decoration, packaging way and shipping schedule. Pallets packaging is faster than cartons packaging.